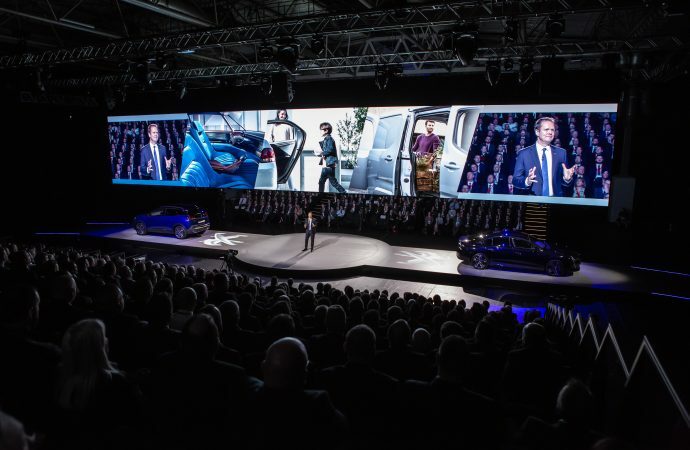 A PACKED audience of more than 750 dealership staff heard Peugeot UK managing director David Peel congratulate the network on a successful 2018 and look forward to an electric future this year. Speaking at the manufacturer’s national dealer conference at the NEC in Birmingham, Peel told them to ‘be prepared’ for the energy transition as Peugeot committed to electrifying the entire product range over the next five years. Attendees also had a first glimpse of Peugeot’s electrified vehicles that will debut later this year. The Peugeot dealer network has been ‘resized’ over the past few years and Peel said that had created a solid foundation to deliver success for the brand and ensure the network continued to go from strength to strength. Popularity for its SUV range led the way for success in 2018 as Peugeot saw its market share grow to 4.35 per cent – up 0.2 per cent on 2017 in a market that was 6.1 per cent down. This success was accompanied by critical acclaim for its models, he said, with the Peugeot range winning 19 UK industry awards in 2018. The manufacturer is to embark on a far-reaching LEV (low-emission vehicle) strategy ahead of a raft of new models. The Peugeot e-Legend concept car, unveiled in 2018, marked the start of the brand’s transition towards electric power and autonomous driving. Peugeot investors will be playing their part, with new EV charging points installed at dealerships across the UK. Peel said: ‘Last year demonstrated that the foundations laid over the past two years have created a platform where Peugeot is now going from strength to strength in the current UK market. ‘The choice of new award-winning models linked with strong residual values is proving to be more popular than ever. In addition, the extension of powertrain choices from our award-winning and efficient new diesel and petrol engines to the next generation of electrified models this year will give customers options they have never had before, providing a car for every customer’s need.